The Men in Blue landed in West Indies after winning the 2013, ICC Champions Trophy in England. They were the best team of the tournament and won all five games they played in the event. The 2nd match of the Tri-Nation Series was held at Sabina Park, Kingston, Jamaica, on June 30, 2013. The visitors were put into bat by the stand in captain of the Windies, Kieron Pollard, who won the toss and wanted to chase. The Caribbeans got rid of two prominent batsmen, Shikhar Dhawan and Virat Kohli, at their individual score of 11 each. The innings was stabilised to some extent by the opener Rohit Sharma and Dinesh Karthik. Sharma was the only batsman of the Blue Shirts who achieved a fifty and lost his wicket for 60. The middle order batting got a start but remained unsuccessful in converting it to big scores. Suresh Raina was the only other notable batsman with 44 runs as India reached 7-229 after 50 overs. 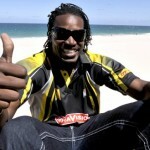 The Windies batting was crippled in the early stages of the game by a lethal display of bowling from their rivals. The home side lost their three important wickets for just 26 runs and things started looking bleak for them when their opener, Johnson Charles, played a heroic knock. Darren Bravo provided him a nice support and enhanced the total to 142 before he was gone for 55. Charles fought until end and was the 8th batsman to be dismissed at his individual feat of 97 scored from 100 balls with 4 giant sixes and 8 well placed fours. 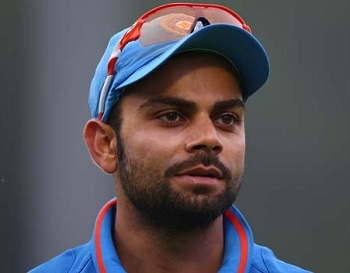 Virat Kohli led the Indian side in place of their regular captain, MS Dhoni, who got himself injured while batting. The tourists were defending a nominal target of 230 runs and that looked difficult while keeping in view the strong batting line up of the Windies. Kohli was left with no option but to attack and make things difficult for the West Indies batsmen. The hosts recovered after an early shock mainly because of the spirited batting by Johnson Charles and Darren Bravo. Kohli kept on the offence which resulted in another collapse for the Caribbeans after they lost their 8th wicket at 211 and it was left to the tail enders to reach the target. Kohli made an interesting change while introducing Suresh Raina into attack and got the prize wicket of Sunil Narine. The 9th wicket fell at 220 and it was anybody’s game at that point but West Indies won in the end by one wicket. MS Dhoni has been ruled out of the remaining series and Virat Kohli will get a chance to elaborate his potential as a captain in the matches to come in the on-going event.